A week on from our various disasters and Mr Litlove is pretty much healed. Now the only actions that bother his shoulder occur in front of the computer, when too much mouse-work can make his arm sore. It was a revelation, watching his recovery process, however. He simply stopped, until the aches and pains from his trapped nerve had gone away, and then he gradually started moving again, easy household tasks to begin with – January’s been a washout work-wise but we’ve done a lot of de-cluttering – and then starting to exercise and return to his workshop. I am forced to realise I have never been that patient and accepting of my lot in my life. As for me, the optician was delighted with how much my eye had improved, and I don’t need to go back unless it flares up again. But ever since, I’ve had gritty, uncomfortable eyes, made worse by reading and looking at the computer screen. I’m typing quite fast here, hoping I can get through a post before the discomfort kicks in. I should be more like Mr Litlove, I suppose, content to stop until the problem has gone away, but I am not like him, alas. But the topic of recovery has been in my mind since reading Amy Liptrot’s memoir of alcohol addiction and tentative recovery, The Outrun. 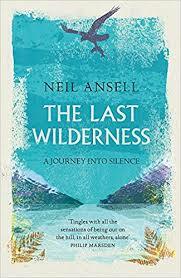 This is an exquisitely written first book that marries degradation and disgrace in London with a growing love of nature and its healing powers in Orkney. Liptrot comes from Orkney originally, where her mismatched parents went in search of a good life. Her father is a manic-depressive, her mother, since their divorce, a born-again Christian. Liptrot wanted nothing more than to escape the islands when she grew up, and moved south to London to pursue a university degree and a career in journalism. But the demon drink got a hold of her too. 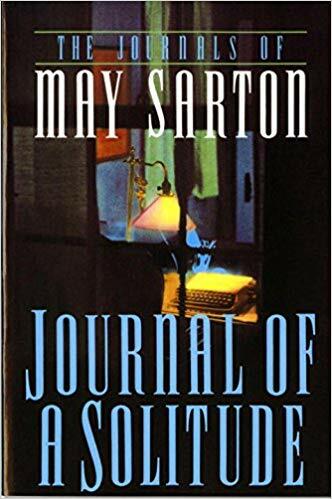 A self-confessed sensation-seeker, she fell so easily into the ready excesses of life in an isolating city, and her unflinching memoir gives a clear account of the humiliations consequent to too much booze. She loses the man she loves – which gives her even more reason to drink – gets chucked out of many a house share, is nearly raped by a stranger one drunken night, can’t hold down a job. London can do that to you, I think; the combination of opportunity and loneliness is a difficult one to negotiate. If London can be a place of downfall, then the obvious thing to do is find a place of healing. 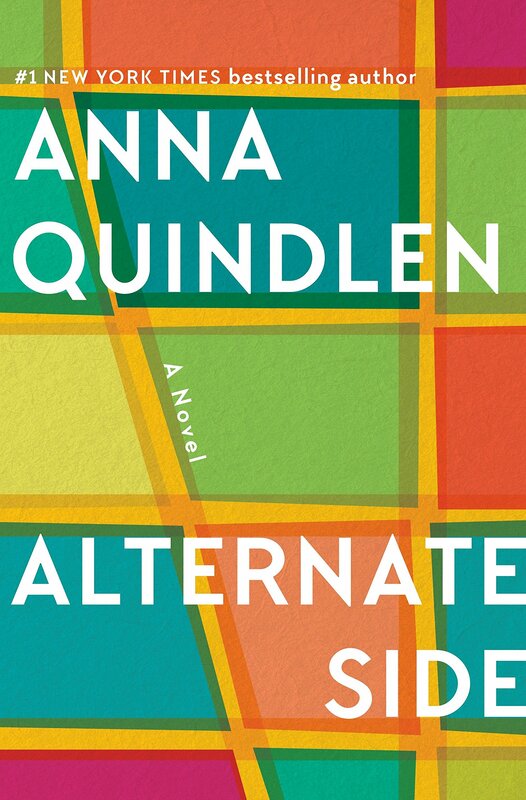 After a course in rehab, Amy heads home, not for any better reason that she has nothing much else to do, and staying sober is hard, treacherous work. The cravings of the alcoholic never really go away, no matter how much damage is done to the self, and so the fight for sobriety is one that has to be fought daily. But the Orkney islands turn out to offer more solace than she at first imagines. She finds a job with the RSPB tracking the remaining corncrakes on Orkney – a tiny brown bird with a distinctive call that has almost become extinct due to modern farming practices. And this proves such an improving thing to do that she takes on a tiny cottage in the small island of Papa Westray for the winter. One thing about the Orkney islands: they are very windy. On one of her walks, Amy describes how: ‘I ascend the hill in a crouched position, probably watched by amused islanders in the houses below. I lie forward into the wind, like a mattress of air: it takes my breath and exhausts me – a full-body experience. It’s loud enough to hide in.’ She describes another windy day – one noted in Orkney history no less, when ‘tethered cows had been flying in the air like kites.’ It seems clear that this sort of wildness is congruent with Liptrot’s inner wildness, one that could not be appeased by alcohol, although it looked like it would suit the task, but can be calmed in a weather system that’s powerfully bigger than she is. I wonder how often it is that we do not want what we think we want. I wonder how often we live in circumstances that do us damage in the long-run because we can’t think beyond our immediate solutions, and lack the courage or the motivation to try something else. I remember reading somewhere that humans tend to shy away from change because it’s so hard to do, and unless we’re really up against it, we’ll bumble on as we are. The book has two rhythms. The first half is a rapid, forceful descent into the darkness of alcoholism, and it’s immensely gripping. The second part is a much more languid and dilatory affair, with chapters exploring different aspects of life on Orkney and Amy’s slow rehabilitation. It makes for a slightly uneven book, but I actually appreciated the honesty of this. Recovery does not happen in linear fashion. It goes back and forth, picks up new hitches and secondary issues, returns us time and again to things we thought we were done with. ‘I still have nervousness around other people,’ Liptrot writes. ‘When you’ve spent so long messing up, covering up and apologising, it’s hard to shake the feeling that you’ve done something wrong and default to the secretive and even sneaky behaviour that addiction involves. 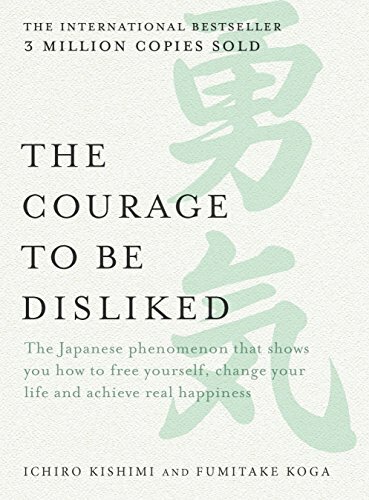 I often have a flickering sense that I must have said or done something terribly misjudged.’ Although Amy Liptrot is, in theory, not my kind of person at all – an extrovert, a sensation-seeker, a louder-than-life person, I found myself relating effortlessly to her situation, her determination to recover and her courageous honesty. Only the truth will save us, they say, and that’s about right. 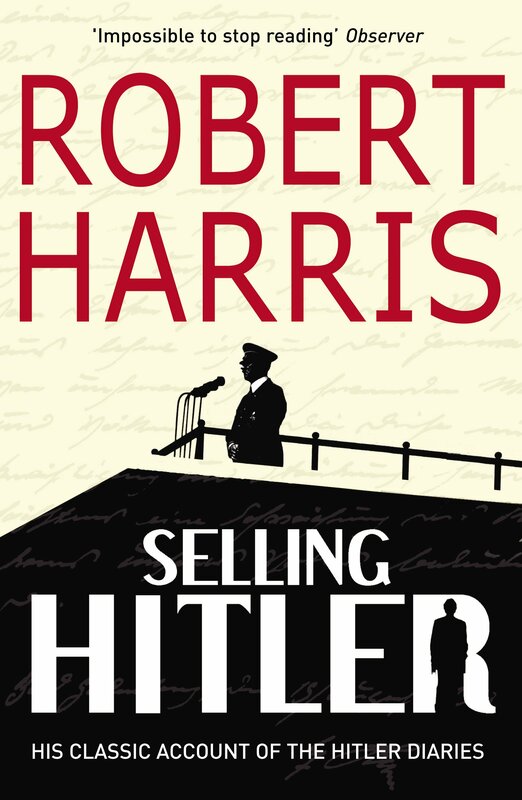 This is a very truthful book, searingly so, and all the better for it. I wanted to tell her at the end: stay sober, Amy, so you can keep writing. And in the hope of furthering my own recovery, I’ve signed up for an online course with the Optimum Health Clinic, the specialist chronic fatigue centre. ‘Conscious Transformation’ it’s called, and is about finding the right mindset to get through the illness and out the other side. I know what a long, slow process recovery can be, and I do hope that this will make a difference. It starts in February and I don’t doubt I’ll tell you about it as I go through the tasks. A P.S. – I love your comments and appreciate them so much, but staying away from computer screens has put me behind in replying. I will catch up as soon as possible. 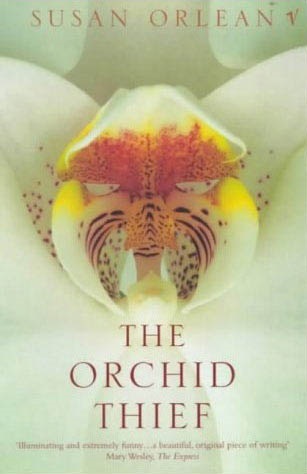 Every so often a non-fiction book becomes surprisingly popular, as I understand The Orchid Thief did after the release of Adaptation, the Charlie Kaufman film that was very loosely based upon it. I haven’t seen the film (tell me: should I?) but I did recently read the book. It wasn’t quite what I expected, but it was extremely intriguing in all sorts of unexpected ways. Basically, Susan Orlean, a regular contributor to The New Yorker, read a small article in a paper about an eccentric named John Laroche who was on trial for having attempted to steal a large quantity of ghost orchids from the Fakahatchee Strand in Florida. Curious about his motivations, Orlean went to Florida to follow the trial and to learn more about both Laroche and the world of orchid thieves and collectors (can be tricky to distinguish the two). Initially, this became a New Yorker article, and then Orleans turned it into a book, which is maybe why the story of Laroche bookends a mass of digressive but often engaging information about the history of orchid collecting, the character of the plant men that she meets in Florida, life on an Indian reservation and the nature, in all its meanings, of the state of Florida. But first, Laroche, whom she describes as ‘a tall guy, skinny as a stick, pale-eyed, slouch-shouldered, and sharply handsome, in spite of the fact that he is missing all his front teeth. He has the posture of al dente spaghetti and the nervous intensity of someone who plays a lot of video games.’ Laroche has a history of manic obsession, beginning as a child with turtles, and moving on to Ice Age fossils, lapidary, old mirrors, tropical fish and then, finally, orchids. Each passion was intense, short-lived, and fiercely compartmentalised. After he had given away the 60 fish tanks he collected, for example, he did not go near the Atlantic, despite living so close to it, for the next 17 years. Or so he says – Orleans reports him faithfully I don’t doubt, but you do begin to wonder quite how much confabulation occurs in every one of Laroche’s stories. Still, he does appear to be one of those people to whom extreme things happen. In the run-up to stealing the orchids, he went through a particularly taxing few years. He spilled toxic pesticide on a cut and suffered irreversible heart and liver damage from it. He was in a dreadful car crash that cost him his front teeth, put his wife in a coma and killed his mother and uncle. Then he separated from his wife. Then the plant nursery he owned was decimated by severe frosts, contaminated fungicide and Hurricane Andrew. In need of work, he came to work on the Seminole reservation, starting up a nursery for them. Obsessed by orchids, and aware of how much money could be made from a ready source of hard-to-find ghost orchids, he believed he could get around the laws that preserve endangered species. The Fakahatchee strand is Seminole land, and land belonging to Indians is supposed to be free from the usual laws in the U.S. Laroche took two Indians with him into the swamp and made them do the collecting, but as they emerged with four cotton pillowcases full of two hundred species of orchid and bromeliad they were, as the phrase goes, ‘apprehended’ and charged with theft. This is a book packed full of eccentrics, madmen (very few lady collectors) and con artists. And when you reach Florida, the state of outsize everything, you seem to be in a landscape that inspires crazy schemes on a huge scale. I enjoyed reading about the Florida land scam that began somewhere around 1824 with a number of wide boys selling plots of Florida that they didn’t own, and which multiplied and grew until 1975 when the main company involved was $350 million in debt. It’s almost as if Florida invites this sort of trouble, Orleans explains. The land is permanently changing as more coastal areas are reclaimed, and what’s there is so vast and wild and uncontrollable. Nature always wins in the end, but the urge to battle her is irresistible. ‘The flat plainness of Florida doesn’t impose itself on you, so you can impose upon it your own kind of dream,’ Orleans writes. And this is the core of the book, not so much articulated as voyaged around repeatedly. Man vs. nature results in all kinds of unhealthy obsessions, all of them doomed, but all hypnotic nevertheless. There is a lot going on in this book, huge amounts of data on offer, outlandish characters, hair-raising exploits, lots of chances to shake your head in sighing pity for the silly things people do on tenuous justification. Orleans has a repetitive style that can grate at times, but then she said a lot of things I marked up as interesting, too. An enjoyable and worthwhile read, just don’t expect as much about John Laroche as the blurb implies. This may not have been a fabulous year for me personally, but it was a great reading year. I had very few reading slumps and enjoyed a bumper number of good books. Above all it was the year for non-fiction, so much so that I’ve had to introduce a range of categories to cover all the books I feel obliged to mention. Let us look back fondly.